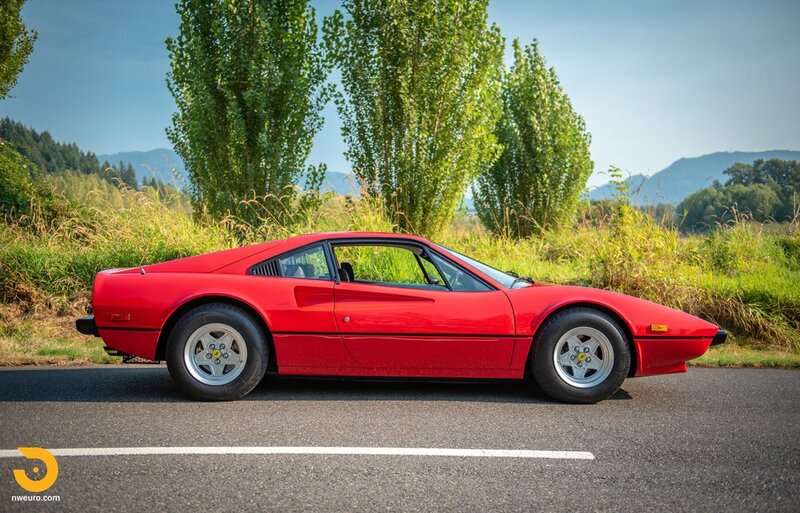 Ferrari introduced the 308 model to the world in 1975 at the Paris Auto Salon. 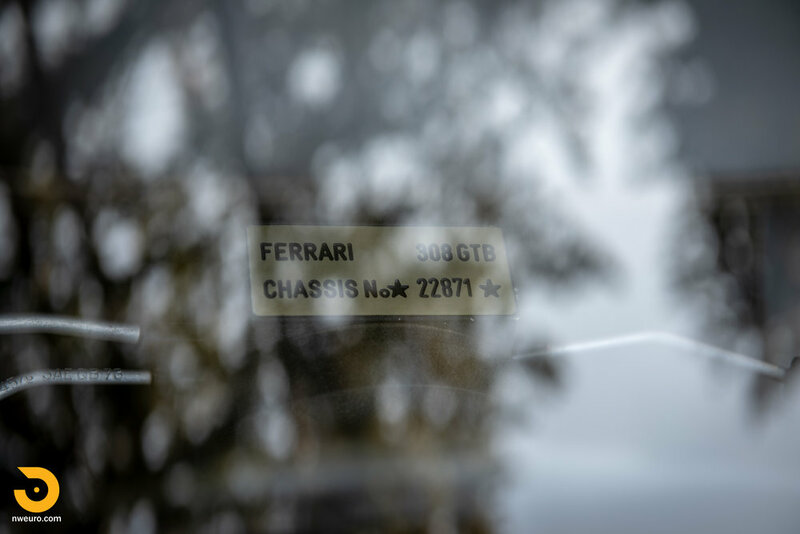 The newly styled 308 GTB was a return to Pininfarina styling following the Bertone-designed Dino 308 GT4. 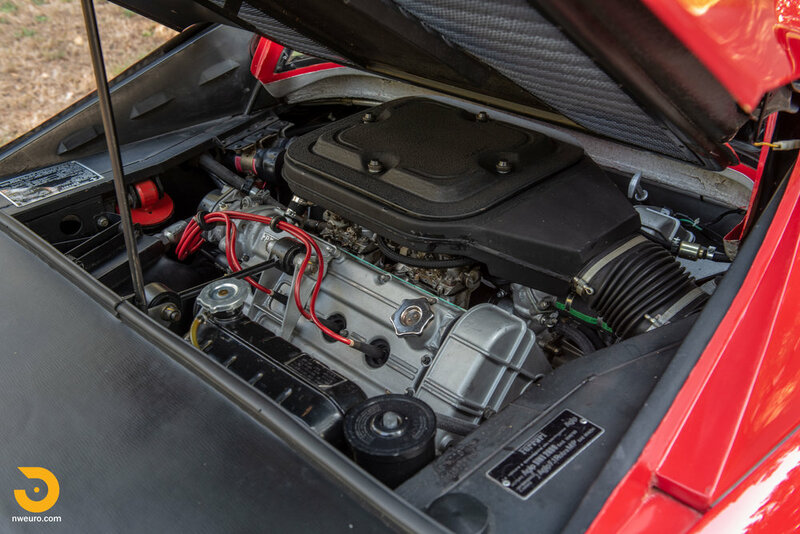 Badged as a proper Ferrari rather than a Dino, the new 308 GTB had more in common with the 246 Dino than the GT4 – it was a proper two-seater again yet utilized the existing 3.0 liter transversely mounted V8. 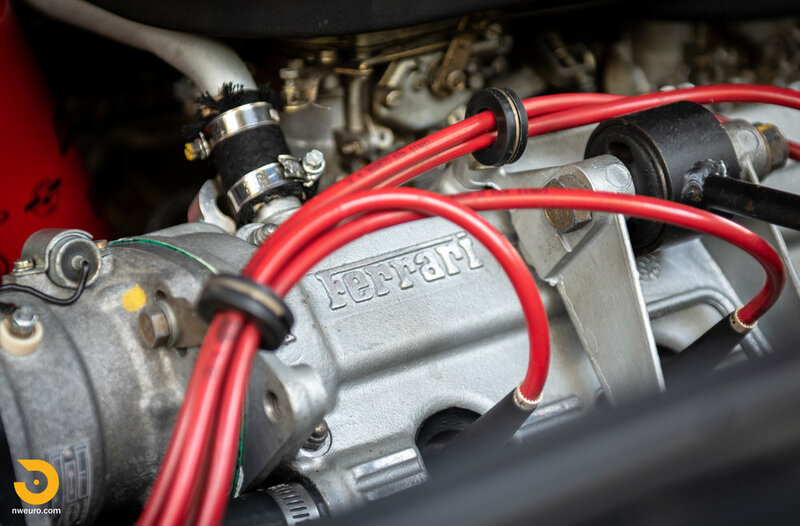 This marvelously engineered engine produced 255hp (240hp for US models), an output strong enough to move the 308 GTB to a top speed of over 150mph. 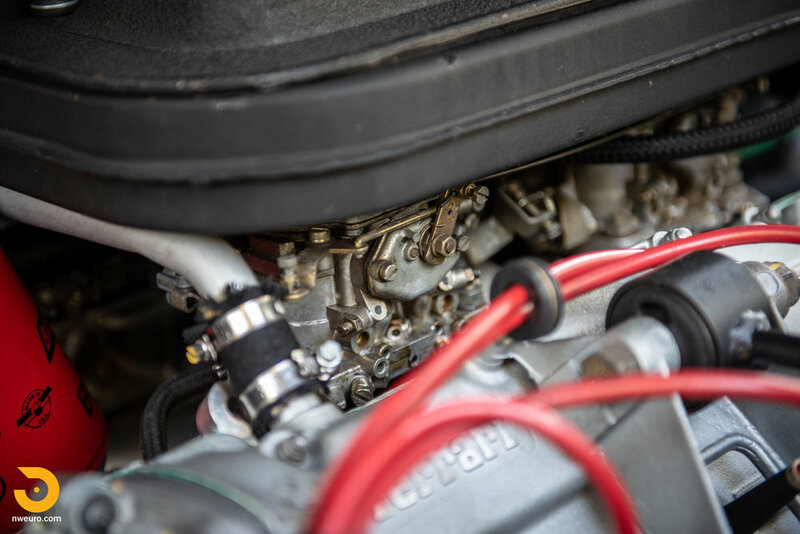 The early 1976 and 1977 cars featured Weber carburetors, with hotter cams, and did without catalytic converters now making them highly sought after all these decades later. While the very earliest cars were fiberglass bodied (“Vetroresina”), that changed in mid 1977 to steel as production shifted to higher volume. As the early Vetroresina cars have become six figure collectibles, these early 1977 cars have become the ones to collect, use, and enjoy. 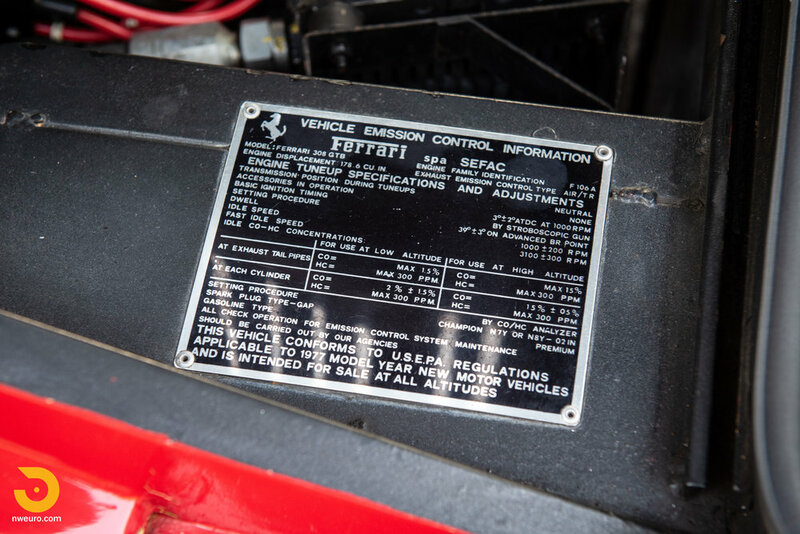 According to the accompanying Ferrari Heritage Certificate, this 308 GTB was built in October of 1977, and retains the original type and number matching engine (F106A 040 - 02806) and transmission (F106AL 02823). The car was originally sold in 1977 by Bavarian Motors in Fort Worth, Texas, and the original owner moved to California in early 1978. The documentation folder (which goes back to 1978) shows three owners from new, with California registration from 1978 to 2000. 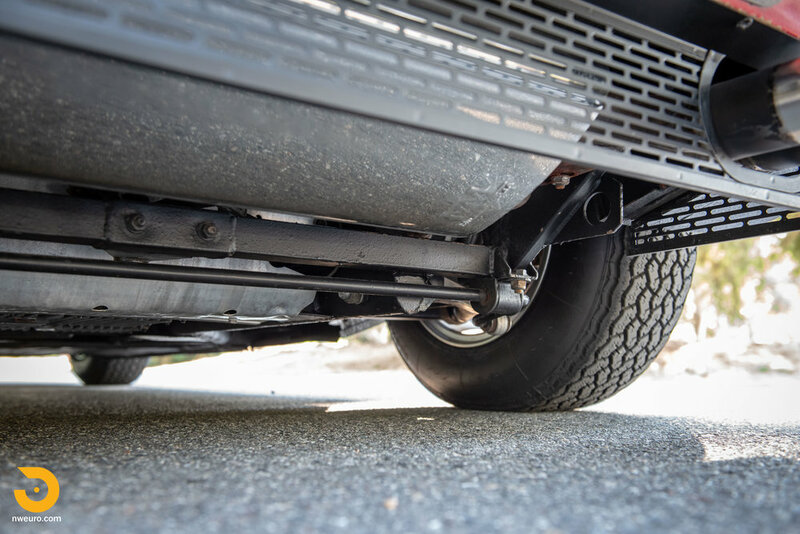 Of note to California buyers, the emissions control equipment is complete and provided with the car (not currently installed), as well as California original blue license plates. Showing original paint (Rosso Chiaro 20-R-190) on all panels, other than lower front bumper and headlight grilles re-sprayed in 2006 for rock chips. 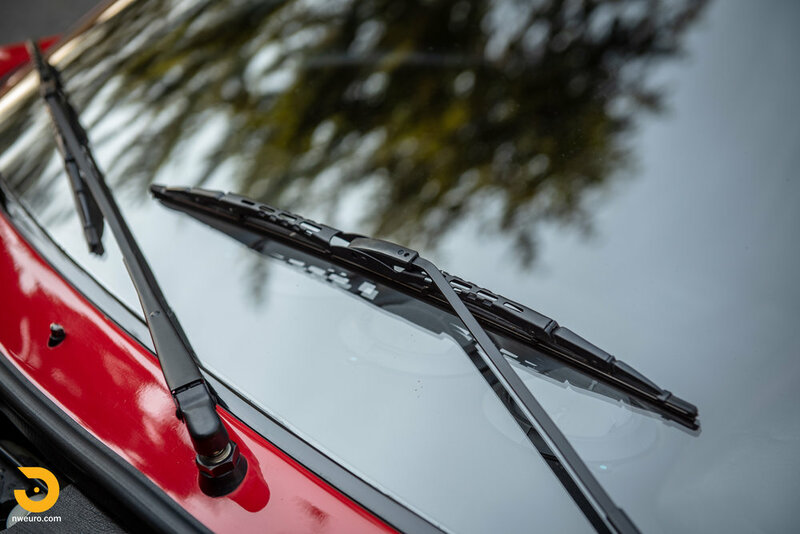 The window glass is original throughout, and all trim and rubber are in great condition on the exterior of the car. The car features a single exterior mirror mounted on the driver’s door. 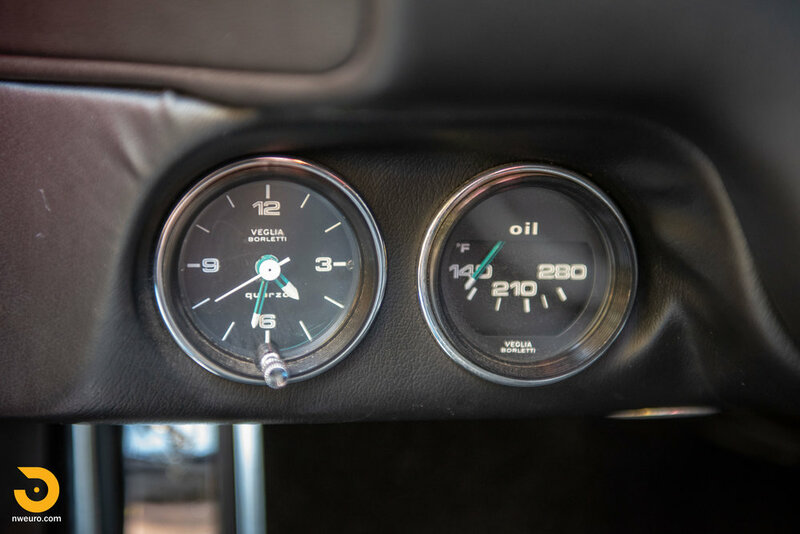 Inside the glorious original 1970s design cabin, you will find light patina on the black leather (Pelle Nera VM 8500) seating and control surfaces, exuding the originality of the car. All of the Veglia dials and dash controls work without issue, and the A/C blows ice cold. The gated shifter makes all of your childhood dreams come true. Original factory 14” wheels in excellent condition, and new Michelin XWX tires in April 2018, along with previously rebuilt Koni shocks make for a great ride. Recent service (2018) includes wheel bearings, tires, 4-way alignment, and extensive carburetor service and tuning (both dyno and road testing), oil change, and brakes are noted as near new – the car is ready to be enjoyed immediately without excuse. Timing belt service was completed at 51k miles in 2016, and during an engine out service in 2008, a new clutch was fitted at 38k miles. Fuel filler hose replacement recall was done and has been periodically inspected, as well as new fuel lines and new fuel pump. 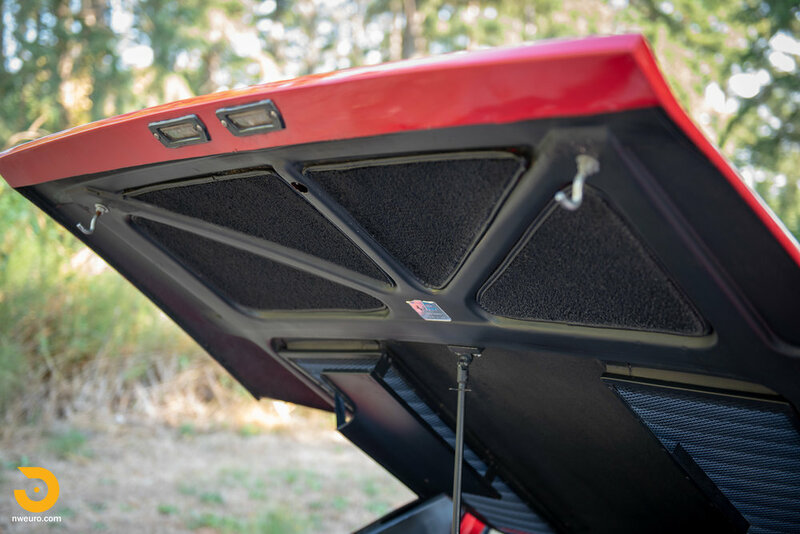 Why we love this car – It has become commonplace to hear about owners keeping their cars in the garage and only accumulating a handful of miles per year. 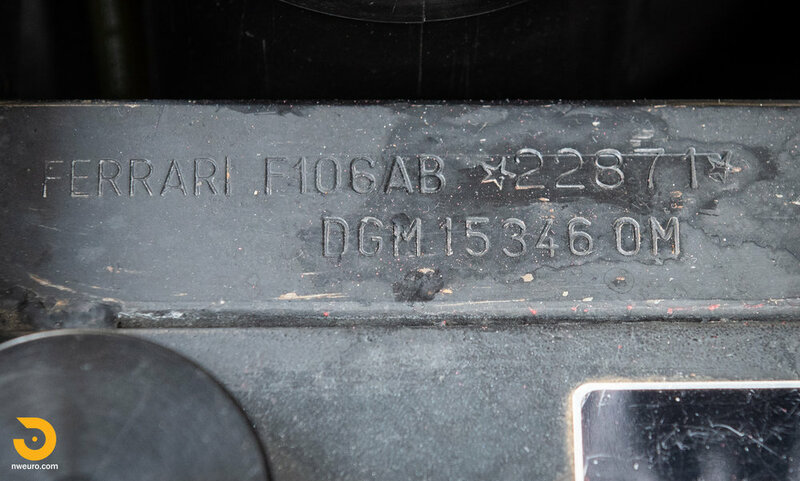 The most recent owner acquired this car in 2000, with just 7,700 miles on the clock, and subsequently added another 45,000 over the next 18 years. Weekend trips, late night hardware store runs, and a memorable 10-day west coast trip all enjoyed without any issues, due to fastidious ownership and maintenance. This is the way to own and enjoy these types of cars. In addition to a huge three ring binder of records, there is a handwritten journal with an entry for every drive, gas stop, and road trip. 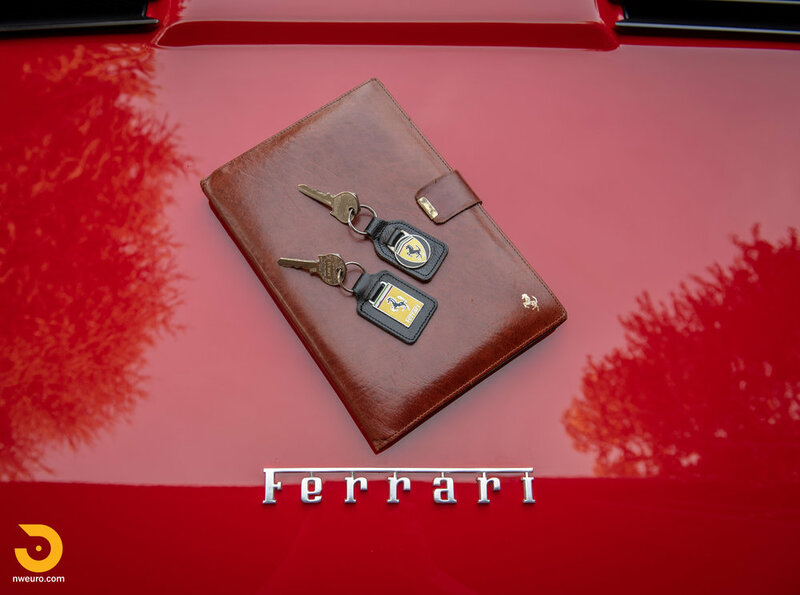 This highly original 308 GTB comes with owner’s manuals in the leather book, the complete original tool kit, original jack bag with correct items, and the rare emergency light in original bag. 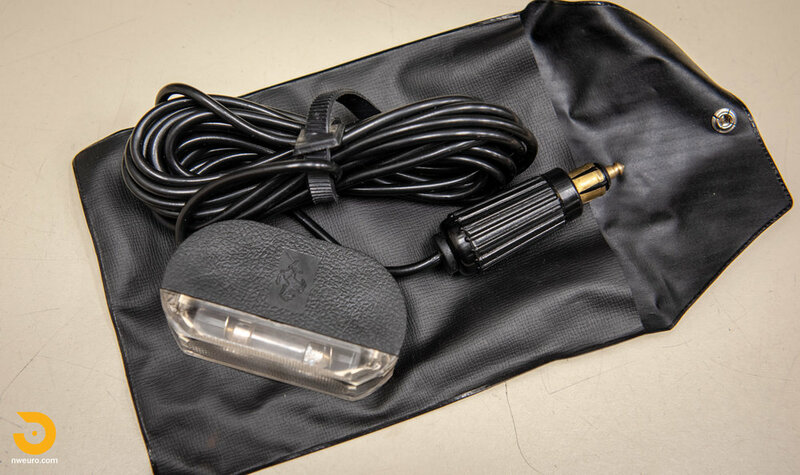 A few boxes of original parts including the original wire windshield wipers (rare) are included as well as original California blue plates. Also featuring fabric Ferrari seat covers in the spare parts boxes - a rare and unusual item. 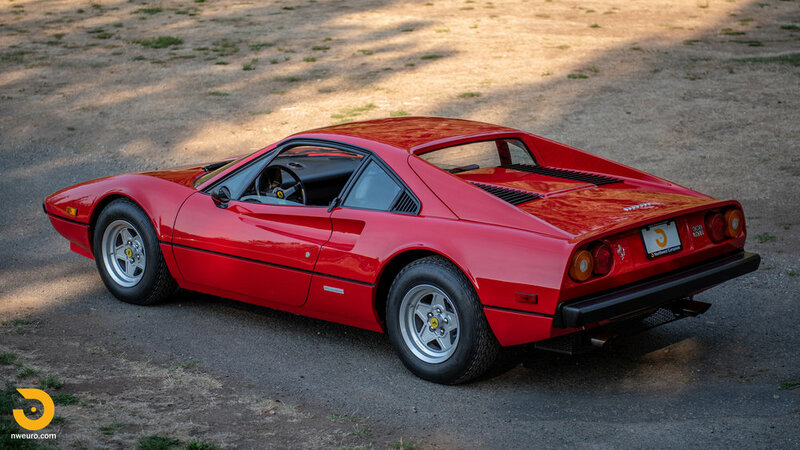 This 308 GTB is an excellent example for entry into Ferrari ownership. 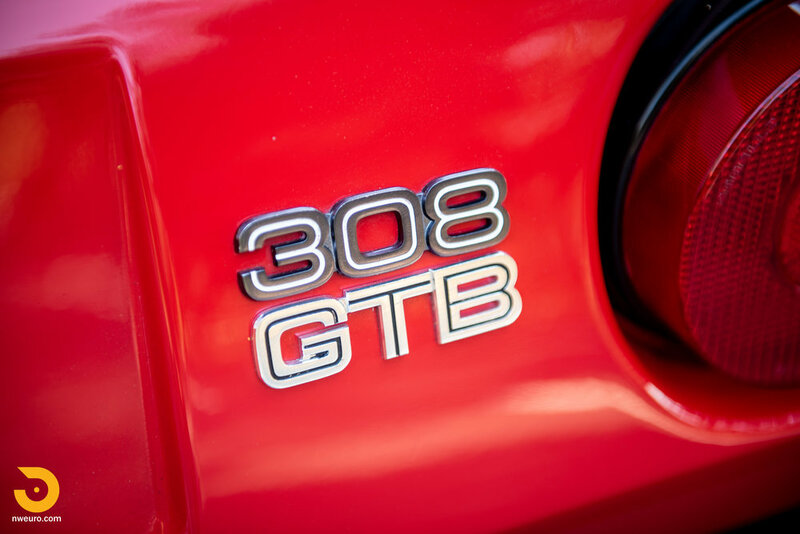 With meticulous ownership and maintenance, and with high levels of originality, this is the 308 GTB to add to your garage today. 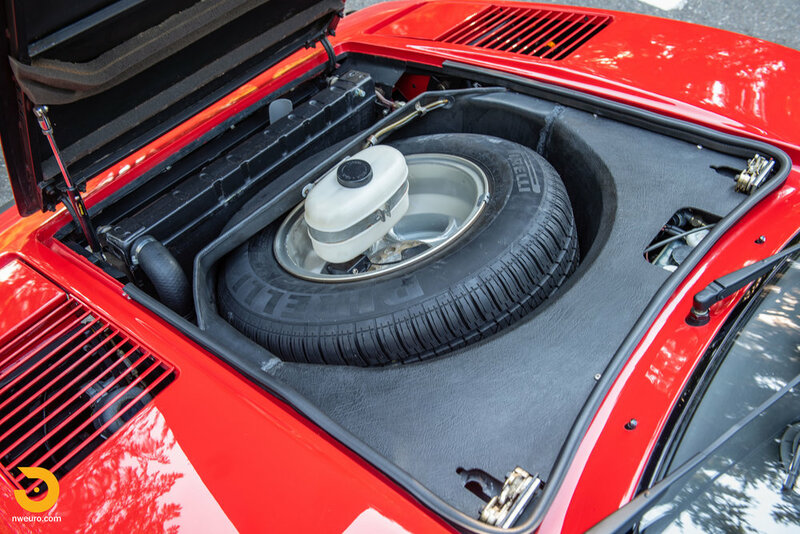 Please call Jason at 206-355-7727 for more information on this 1977 Ferrari 308 GTB for sale.